Snrky: So I should stop working on the other top priorities, then? So I should stop working on the other top priorities, then? We've covered this topic in a similar fashion before, but given mood around the office the last few months, I couldn't resist today's post. One of my co-workers described it best as Organization ADD a primary symptom of which is the fact that for some reason when the word "top" is paired with "priority" the very definition of the word loses the implication of a singular subject. Title: The product launch next month is our top priority. 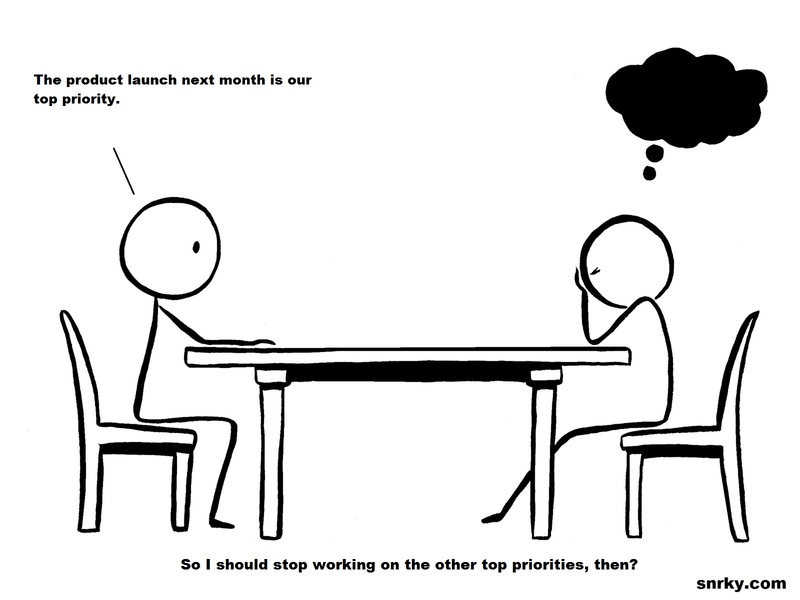 Snarky: So I should stop working on the other top priorities, then?